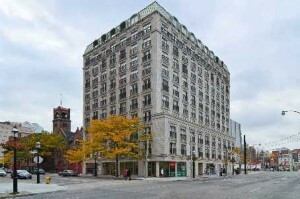 Luxury Parisian-Inspired Building In The Heart Of Downtown. Desirable French Quarter Location, Steps To St Lawrence Market. Open Concept Living & Dining, 3 French Balconies (Living, Dining & Bedroom), Herring Bone Hardwood Floor. 9′ Ceiling, Crown Moulding & 7 1/2 Baseboards Through-Out. Walk To Financial District, Restaurants, TTC & Eaton Centre! Roof Top Terrace/Garden With Bbq Area, An Oasis In The City! Well Managed & Maintained Boutique Building. Ample Street Parking Available On Lombard Street. Include; Fridge, Stove, B/I Dishwasher, Washer & Dryer.